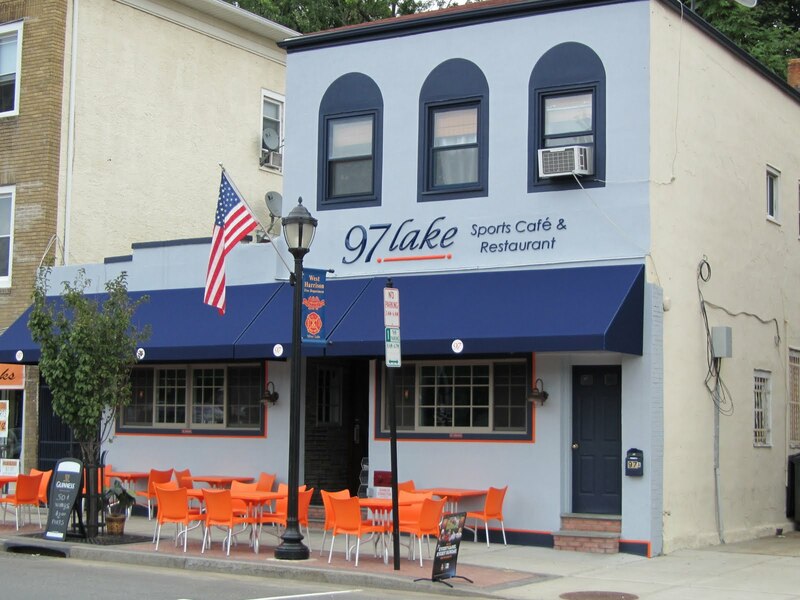 A couple of months back, while looking for gluten free restaurants within driving distance of my office in northern Bergen county NJ, I discovered 97lake Sports Cafe & Restaurant (97 Lake Street, West Harrison, NY). [Special note, this restaurant is in West Harrison, New York, not New Jersey.] Today, I finally got to try it out, and it was amazing. What really attracted me to this restaurant is their six page gluten free menu. (The online menu has a page for kids, it wasn't in my 'adult' menu at the bar.) While there are a couple of naturally gluten free items on the menu there isn't a gluten friendly item to be found (that's right, no "order the salad without croutons" or "order the hamburger on lettuce") what there is is an unbelievable selection of actual gluten free foods: gluten free pizza, french fries, gluten free onion rings, gluten free chicken fingers [contains dairy], chicken noodle soup, hamburgers with gluten free buns, sliders with gluten free buns, gluten free crab cakes, NY strip steak on gf garlic toast, gluten free hoagie buns for cheese steaks, gluten free (but sadly not dairy free) Mac and Cheese, gluten free bread (for a corned beef sandwich or BLT), gluten free wraps, and gluten free desserts (most of which are ice cream, none of which looked dairy free). [Warning: I only asked about dairy in the bun, chicken fingers and onion rings (the chicken fingers have butter milk), if you are also dairy free please check with your server.] One last thought, I can't drink beer (or anything carbonated) so I didn't ask while I was there, but according to their online menu, they have Estrella Daura from Spain and two different gluten free ciders. Ummm . . . wait a second, that means anything deep fried is gluten free no matter which menu you order off of? Shhh . 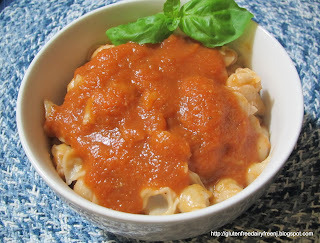 . . don't tell the wheat-eaters! There is a slight price increase on anything with gluten free bread (seems to be $2 usually) which isn't really that bad compared to some other places I've eaten. So enough about the menu, on to the food! As mentioned above, I asked about the dairy free status of the onion rings, hamburger buns, and chicken fingers. The chicken fingers are dipped in buttermilk, but that's ok as they were only my backup plan. I was really after a burger and fries . . . oh, and onion rings. 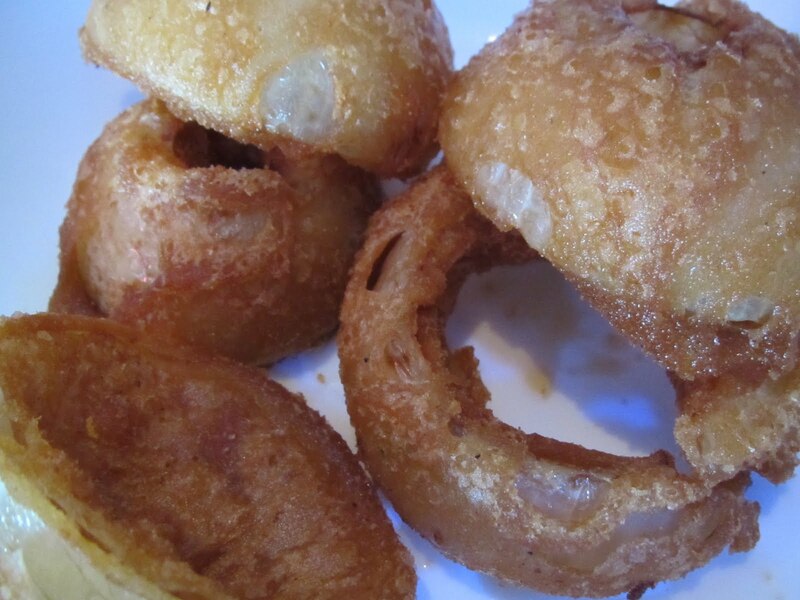 The onion rings arrived first and they were perfect - crispy battered exterior, hot soft onion interior! Exactly what I remember onion rings to be. 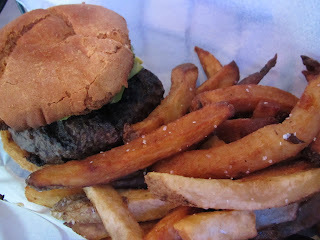 Then came the burger - the roll was toasted and tasted homemade. Although it felt like it was starting to come apart towards the end, it held up through the entire half pound burger. The fries reminded me a bit of 5 Guys' fries only at 97lake they are thicker and more expertly cooked (I often have to finish my 5 Guys fries in the oven when I get them home). Happy National Celiac Disease Awareness Day! Which Gluten Free Hot Dog Bun is Best?